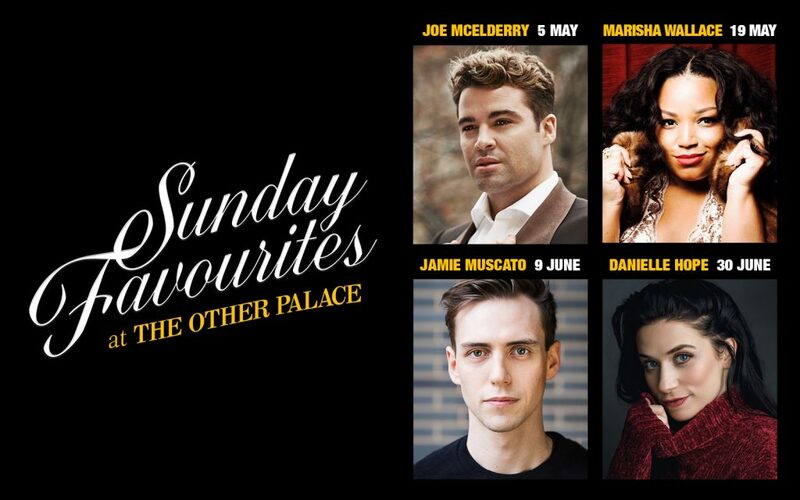 Tickets for Joe McElderry Sunday 5th May - Joe won the sixth series of ITV’s The X Factor in 2009 and was also the winner of the second series of Popstar to Operastar in 2011. Apart from his television achievements, Joe has had a very successful career on stage. Notably, playing t Joseph in the touring production of Joseph and the Amazing Technicolor Dreamcoat, Tommy in The Who’s: Tommy and Thriller – Live! alongside Macy Gray. He has released five top 20 albums – three of which have reached top three in the UK. He has sold over 2 million records worldwide. Tickets for Marisha Wallace on Sunday 19th May - has just finished starring as Effie White in the west end hit, Dreamgirls and is now starring in Waitress as Becky. On Broadway, Marisha has starred in shows including Disney’s Aladdin, The Book of Mormon and Something Rotten. Marisha has performed in concerts at venues including the Royal Albert Hall, The London Palladium and Cadogan Hall with international artists such as Seal, James Blunt and Gregory Porter. She was featured vocalist on TV shows Strictly Come Dancing and This Morning. She is appearing new live action version of Disney’s Aladdin, which will be in theatres in May this year. Inspired by the likes of the late, great Aretha Franklin, Etta James and Ella Fitzgerald, Marisha infuses jazz, gospel and R&B styles with a healthy dose of soul music. Tickets for Jamie Muscato Sunday 9th June - Jamie has just finished starring as Jason Dean (JD) in Heathers on the West End, but is perhaps best known for his role as Rory Storm in the TV mini-series Cilla on ITV. Other lead role stage credits include: Big Fish at The Other Palace alongside Kelsey Grammar, Joe in Bend It Like Beckham, Anthony in Sweeney Todd and Eddie Birdlace in Dogfight, Les Miserables, Lazurus, Blitz, The Light Princess, But I’m a Cheerleader!, Rock of Ages, Spring Awakening and Lift. Tickets for Danielle Hope Sunday 30th June - Danielle was the winner of the BBC talent contest Over The Rainbow and played the part of Dorothy in the Andrew Lloyd Webber production of The Wizard of Oz at the London Palladium in 2011 and has gone on to play more starring roles in he West End and touring the UK. Some of her most famous roles include: Eponine in Les Miserables, the Narrator in Joseph and the Amazing Technicolor Dreamcoat, Maria in The Sound of Music and Sandy in Grease.